Message From the President – The Icicle is Upon Us! The Icicle Metric is Saturday, April 13th. This Saturday! Those that have ridden the Icicle in the past know how the event got its name. Weather this time of year can be so unpredictable. It could be 20 degrees, overcast with snow and ice or it could be sunny and 70 degrees and everywhere in between. Many of you like that unpredictability, registering for a ride months in advance, not knowing what Mother Nature will throw at you on that day, but still accepting the challenge and riding no matter what the weather. I know of quite a few cyclists that have accepted that challenge year after year and have ridden thru every possible weather scenario. For those that are participating this year – temperatures in the 60’s to 70’s, perfect riding weather for this time of the year. As of the close of the online registration (midnight this past Sunday) we have 107 pre-registrants! 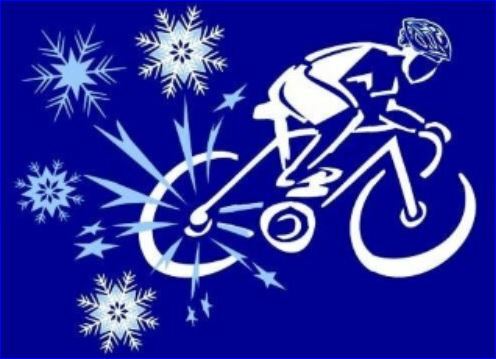 That’s a good number of pre-registered riders for our first fundraising event of the year, so I anticipate and am hoping for a strong turnout for the 2019 Icicle. We have three great loops again this year that will take you over hill and dale as you pass through the farmlands of Maryland and Pennsylvania. Mobile SAG support is available by calling the number on the cue sheet. Rest stops stocked with food and drink are there for you as you finish a loop and at the mid-point on the longest loop. And baked goods, I almost forgot about our baked goods. Our volunteer bakers have brought homemade goodies to treat your taste buds during the event. So whether this will be your first Icicle or your forty-fourth Icicle (yes, the first one was in 1975), it is time to create your own Icicle memories. No matter what the weather, I have a suspicion that you will enjoy the routes, the rest stops, and the company of the other cyclists, so please join us on Saturday. Grab me and say “Hi” as you pass thru Registration.